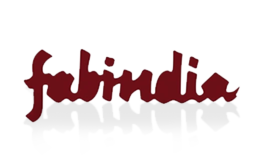 Gift a loved one a Fabindia gift voucher and you’ll convert them to traditional arts and crafts for a lifetime. This is one gift that people won’t easily forget; that’s because Fabindia is the perfect blend of India’s glorious crafts with contemporary design. 1. Redeemable only on presentation by the bearer, at Fabindia stores in India. 2. This gift voucher cannot be exchanged for cash or cheque. 3. The company will not be responsible for the loss or damage of this voucher. 4. No duplicate will be issued if this voucher is lost, misplaced or stolen. 5. Gift voucher has to be redeemed in full and partial redemption will not be allowed. 6. Cash will not be refunded if purchase value is less than voucher value. 7. Purchases exceeding the value of this voucher should be settled by cash / credit card. 8. This voucher is redeemable only during the validity period. 9. No other discount is applicable.